Jet Cars end the night featuring the Lone Star Lightning Jet Dragster; the El Arabe Jet Car; and the GameXChange Jet Dragster. 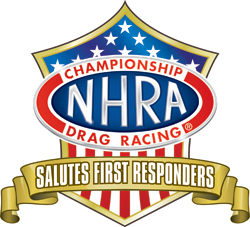 As part of the tribute, first responders will be eligible for discounted tickets to the NHRA SpringNationals through GovX. Click here to purchase.